Equity markets continued to lose ground on Tuesday as world markets fail to find any meaningful support. The price action in the first session of trade was pointing to a firmer trading day, which would have been a relief rally that the market was looking for. Asian markets were mixed on the day as the Nikkei 225 gained 1.4%, with the Shanghai index also gaining 1.02% on the day. Loses were recorded by the Hang Seng, which shed 0.91% on the day. Continued worries around further tariffs on Chinese products by the Trump administration sent shivers through the markets which sent some blue-chip Asian shares tumbling. The Asian tech shares are not out of the woods yet, tech shares continue to come under pressure as Tencent Holdings shed another 3% to trade at $252.20 HKD. Gains were posted by AfroCentric [JSE: ACT], Mix Telematics [JSE: MIX], Lewis [JSE: Lew] and Aspen [JSE: APN] on the day gaining 10%, 8.52%, 6.48% and 4.74% respectively. The heavy weight blue chip stocks failed to fight of the bears on the day and continued their downward spiral. 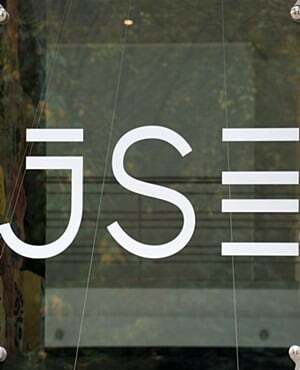 Notable losses were recorded by Imperial Holdings [JSE: IPL], Kumba Iron Ore [JSE: KIO], Grindrod [JSE: GND], and Naspers [JSE: NPN], these shares shed 6.83%, 5.31%, 5% and 3.55% respectively. Naspers continues to come under pressure as tech shares the world over continue to sell off on high valuation concerns. Naspers sell off has left the local bourse in dire straits with the only glimmer of hope being the end of November Christmas rally and a political miracle in the US. All the major indices were in the red on Tuesday with the Industrial 25 index shedding 1.66%, the resource 10 index was down 1.56% whilst the Financial 15 was down 0.04%. The All-Share closed the day in the red 1.1% whilst the Top 40 retreated 1.28% to trade at 50 756 and 44 534 points respectively. The rand was firmer against the dollar to trade at R14.58 at 17:00. The local unit was marginally firmer against the euro and one euro was changing hands at R16.58. The rand was also firmer against the pound and was trading at R18.59 at the time of writing. Brexit remains a thorn in Theresa May's flesh as a deal seems out of reach for the embattled prime minister. South African 10 Year Bond (R186) yields were firmer on the day and were trading at 9.28% at 17:00.
Commodities traded mixed on Tuesday as gold shed $5.40c to trade at $1 226.30/ounce. Platinum was firmer on the day adding $2 to trade at $838.90/ounce, silver was flat to trade at $14.46/pound. Brent crude continued to retreat, a barrel of crude was changing hands at $75.88 having posted an intra-day high of $77.38. Crypto currencies were softer on Tuesday as Bitcoin shed 0.19% to trade at $6 343.2/coin whilst Ethereum slid by 0.39% to trade at $197.59. * Paul Chakaduka is a trading specialist at Purple Group.